From the first part it is clear that Web server serves static content, but, both web containers and application servers dynamic content. Let's see a couple of more points to understand the difference between Web and Application Server as well Servlet engines like Tomcat and Jetty. In order to better understand the difference, you must know some popular examples of the web server, application server, and web containers. Apache and IIS are two popular web servers. Apache is used everywhere including Java world but IIS is more popular in Microsoft ASP .NET world. From Java EE perspective couple of popular application servers are IBM WebSphere, Oracle WebLogic, Glassfish and Redhat's JBoss. Coming back to web containers or servlet engines, Apache Tomcat and Jetty are two of the most popular Servlet engine in Java web world. The significant difference between web server and application server comes from a responsibility perspective. Web servers are responsible for serving static content e.g. HTML over HTTP protocol while application server is responsible for serving dynamic content, managing EJB pool, facilitating distributed transaction, facilitating application lookup over JNDI, application security and others. While web containers are only responsible for generating HTML by executing JSP and Servlet on Server side. 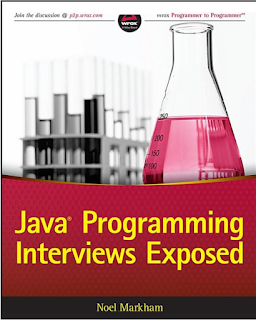 This is also one of the popular questions on Java JEE interviews, but for better preparation, you can also refer Java Programming Interview Exposed book, one of the best to prepare for Java web development interviews. One more difference between an application server and web server comes from the service perspective. It's expected from a Web server to provide HTTP protocol level service while application server is supposed to provide more powerful and dynamic Web service and business level service via EJB (Enterprise Java Beans). Essential services like Database connection pooling is not only provided by application server but also by Web containers like Tomcat. You can read more about how to setup connection pool in tomcat here. Once you know the difference between web and application server and web containers, it's easy to figure out when to use them. You need a web server like Apache HTTPD if you are serving static web pages. If you have a Java application with just JSP and Servlet to generate dynamic content then you need web containers like Tomcat or Jetty. While, if you have Java EE application using EJB, distributed transaction, messaging and other fancy features than you need a full fledged application server like JBoss, WebSphere or Oracle's WebLogic. That's all about the difference between Web Server, Application Server and Servlet Container in Java and JEE world. Remember, each one of the have different purpose and many times used together in Java Web world. For example, one of the popular setups is apache fronting Tomcat. You can use this setup if your Web application is only using JSP and Servlet and doesn't need EJB or distributed transaction feature. More basic services like Database connection pooling is also provided by Tomcat. On the other hand, if you have full fledged Java EE application including EJB then you need a proper application server like WebSphere, WebLogic or JBoss to host your application. As you mentioned ,"application server is responsible for serving dynamic content, managing EJB pool, facilitating distributed transaction, facilitating application lookup over JNDI, application security and others. While web containers are only responsible for generating HTML by executing JSP and Servlet on Server side." So, I am not able to understand full difference between container and application server. You are right Tomcat provides database connection pooling but it doesn't provide an EJB container to run EJB, that's the main difference between a servlet container like Tomcat and a JEE aplication server like Glassfish or WebSphere. but what if we are using Springs only , no EJBs then , do we need a application server? You can use Tomcat also if you are using Spring for web application. No. Spring is used for developing applications and for deploying it, we can use either web/appn server whichever is suitable. I prefer using apache tomcat in most of the cases. Thanks for the great article. However, it is still not clear to me what is the difference between an app server and a web container. it seems like they are the same, only app server serves EJB.